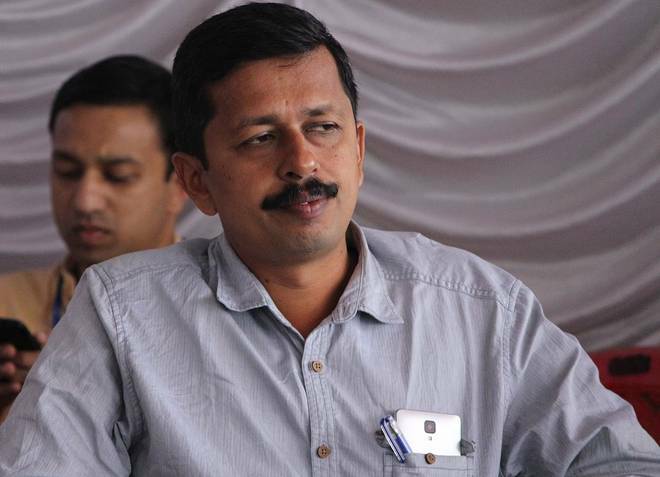 Following threats from Sangh Parivar outfits noted Malayalam writer S. Hareesh has withdrawn his novel ‘Meesa’ (Moustache) which was being serialized in the Mathrubhumi Weekly. The novel talks about life in Kerala half-a-century ago and the writer was receiving threats from certain groups who targeted him for “anti-Hindu dialogues” in the novel. On Friday, a group of BJP-Hindu Aikya Vedi activists defaced a programme organized by Mathrubhumi Books at Thripunithura in Kochi protesting against the novel saying some portions of dialogues between two characters in the novel is objectionable. “S. hareesh withdraws his novel ‘meesha’, literature is being mob lynched, darkest day in kerala’s cultural history, lightless days to follow”, Mathrubhumi Weekly editor Kamalram Sajeev tweeted shortly after Hareesh announced his decision to withdraw his novel. s.hareesh withdraws his novel ‘ meesha’, literature is being mob lynched, darkest day in kerala’s cultural history,lightless days to follow. Hareesh is the 2018 Kerala Sahitya Akademi award winner. After the two extracts of the novel released in the weekly, Hareesh received a series of abuse on his social media profile. There were also alleged threats to attack him. Following the threats, he has deactivated his Facebook account.